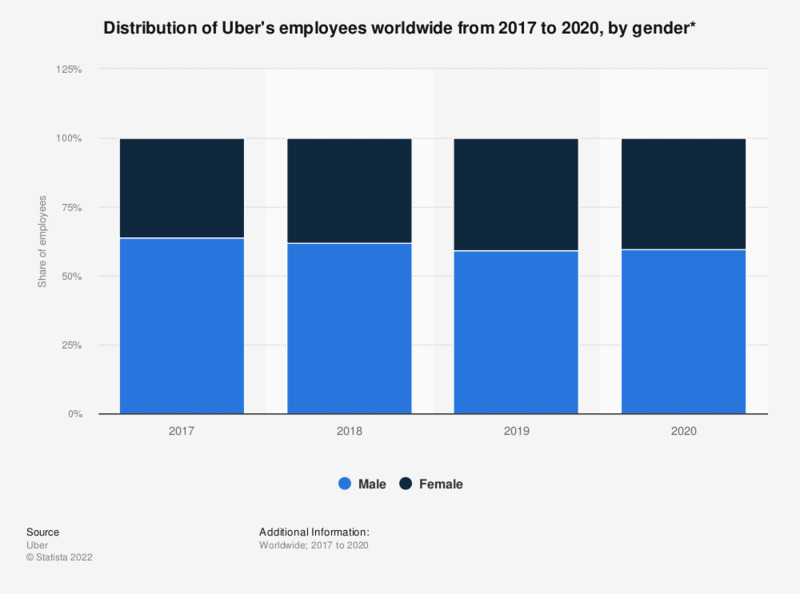 This statistic illustrates the distribution of Uber's employees worldwide in 2017 and 2018, sorted by gender. As of March 2018, 38 percent of the transportation network company's workforce was female. * Data are as of March 2017 and March 2018.